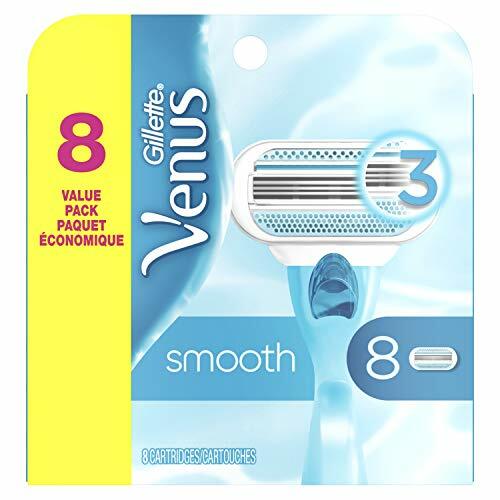 Gillette Venus original razor refill cartridges are versatile and convenient and come in an 8-count package. 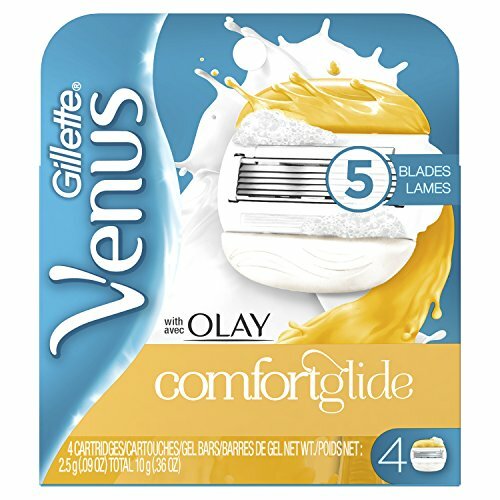 The Gillette Venus original razor blades for women feature protective cushions surrounding 3 blades for a smooth shave. Now it s easy to have dramatically smooth skin anytime. 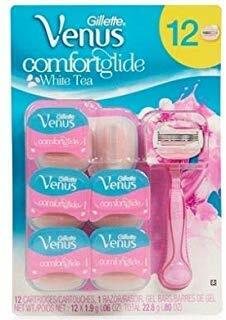 Fits all Venus razor handles except Simply Venus. Fits all Venus razor handles except Simply Venus. 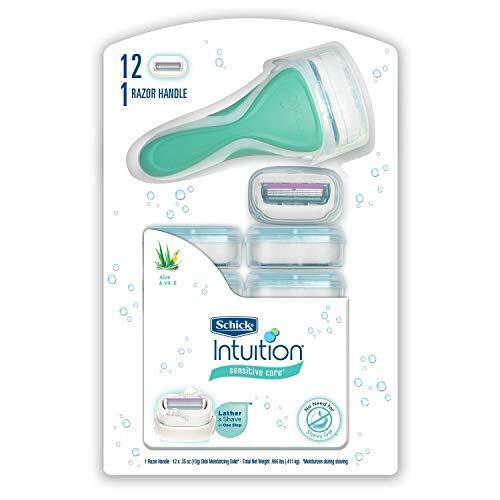 The Schick Intuition System is the first all-in-one shaving solution - no shave gel needed! Schick Intuition Lathers & Shaves in One Easy Step. The Schick Intuition Naturals Sensitive Care Razor contains ingredients that offer the purest form of sensitive care. Intuition Naturals provides five elements of skin care Aloe, Vitamin E, Hypoallergenic and No Artificial Colors with 55% of the packaging consisting of post consumer recycled materials. Flexible moisture bars release body butter for unbelievable glide. 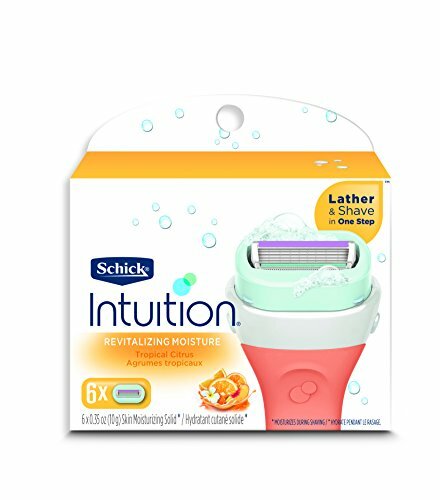 Schick Intuition Revitalizing Moisture Refills are enriched with citrus and tropical extracts. 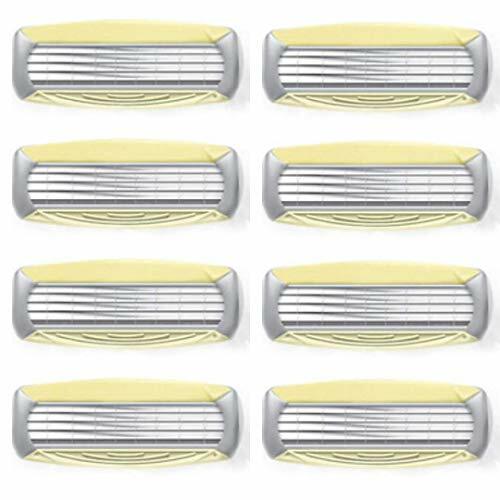 The refills also feature a 4-blade pivoting head to glide easily along the contours of your legs and body. 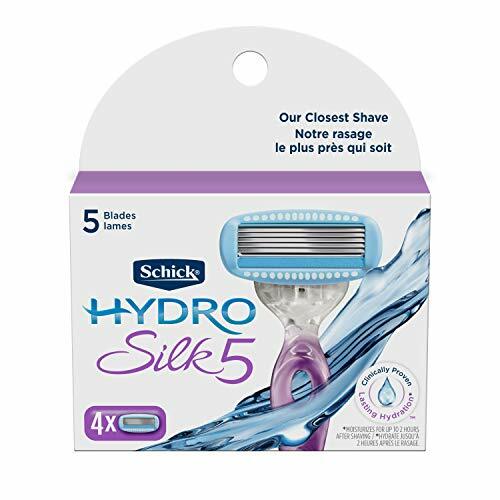 Schick hydro silk for women razor is the first of its kind in the women s segment, coupling high performance shaving and skin care. The moisturizing water-activated conditioning serum the five curve-sensing blades with unique skin guards combine for a moisturizing, comfortable shaving experience. 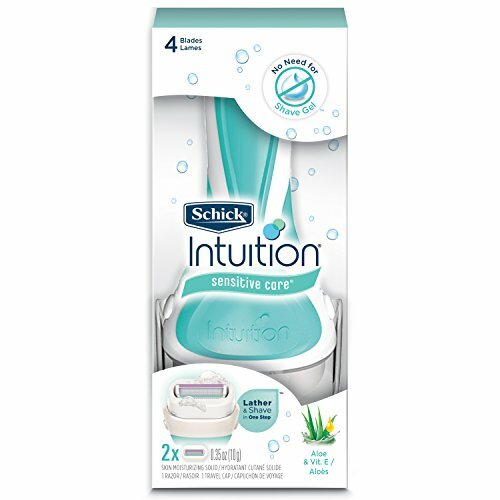 The Schick Intuition System is the first all-in-one shaving solution - no shave gel needed! Schick Intuition Lathers & Shaves in One Easy Step. 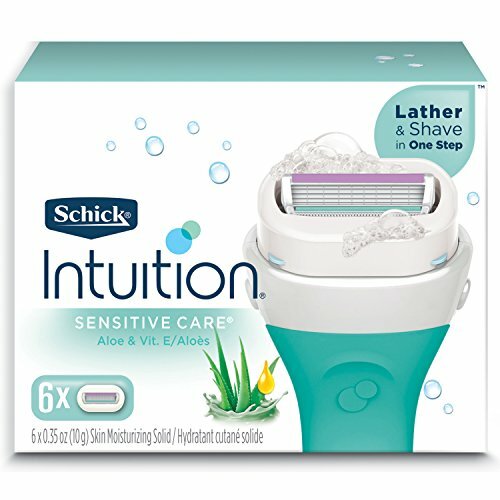 The Schick Intuition Naturals Sensitive Care Razor contains ingredients that offer the purest form of sensitive care. Intuition Naturals provides five elements of skin care Aloe, Vitamin E, Hypoallergenic, Fragrance Free and No Artificial Colors. Additionally, 55% of the packaging consisting of post consumer recycled materials. 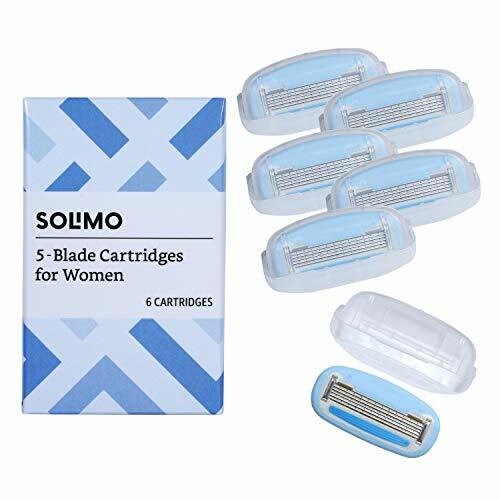 The Solimo 5-blade razor for women has a rounded razor cartridge and comfort-coated blades for a close shave. The lubricating surround with botanical oils helps reduce skin irritation for sensitive skin. Care instructions: After use, store razors with the blades facing up (away from water) in order to allow the lube strip to dry. 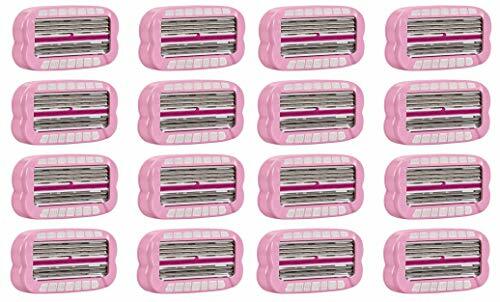 The Schick Quattro for Women Razor offers a silky smooth shave with its pivoting, 4 ultra-thin blades system designed specifically for women. The blades offer flexibility and an effortless glide into hard-to-reach places. Designed specifically for a woman's body, the curves of the cartridge follow your natural shape. The easy-to-grip rubber handle feels comfortable and balanced in your hand, while the conditioning strips formulated with Aloe & Vitamin E, help to reduce irritation - for a shave so smooth you can skip a day or two. Choose between Schick Quattro for Women Ultra Smooth or Sensitive blade refills for long-lasting, smoothness. 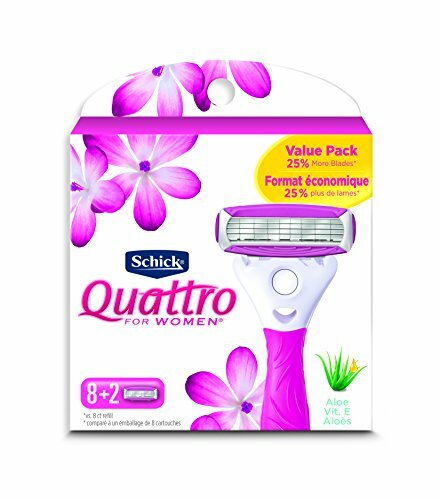 All Schick Quattro for Women Refills can be used with any Schick Quattro for Women Razor. 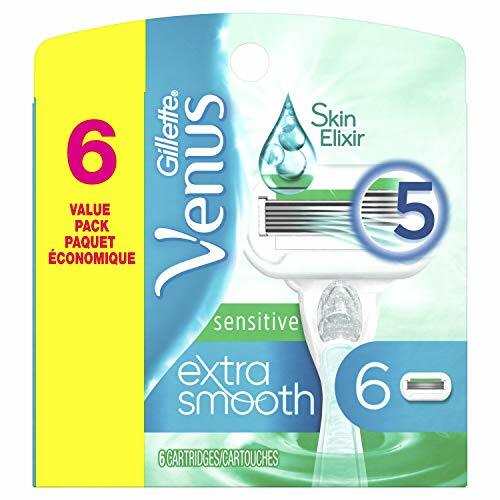 Gillette Venus Original razor cartridges are versatile and convenient and come in an 4-count package. 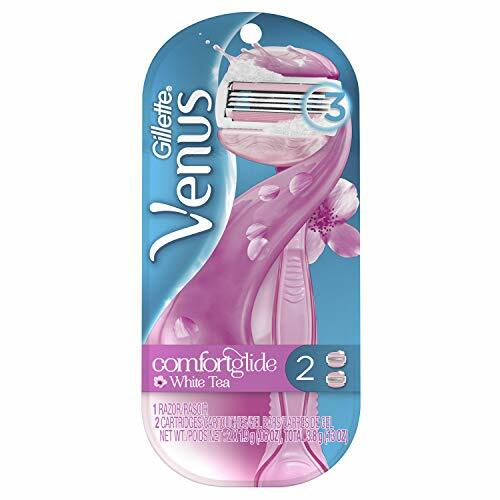 Fits all Venus razor handles except Simply Venus. 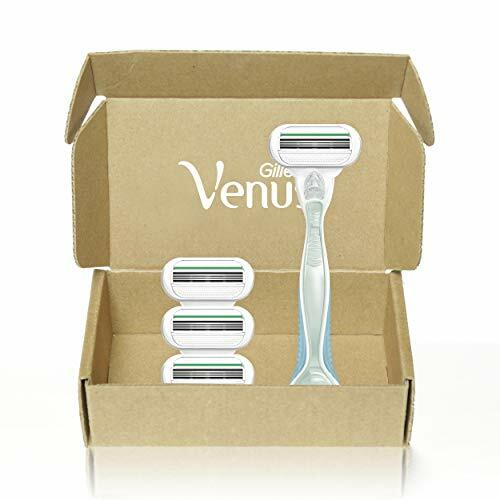 The Venus Original razor features protective cushions surrounding 3 blades for a smooth, close shave in just one stroke. Now it s easy to have dramatically smooth skin anytime. Why shouldn't our razor blades be made to the same standards as men's? We leveraged 95 years of German blade-making expertise to create a custom blade cartridge that works for your body (hello, knees!) and gives you a close, smooth shave. 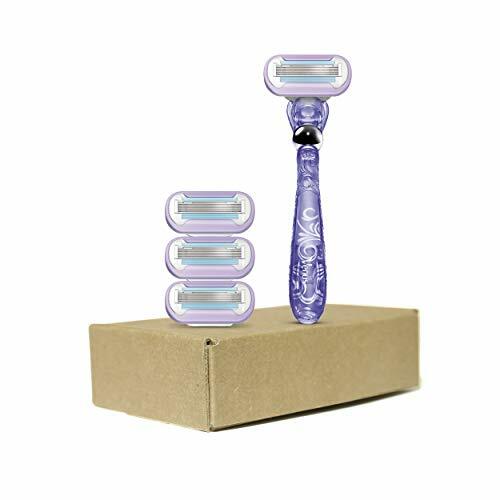 The Schick Quattro for Women Razor offers a smooth, clean shave with its pivoting, four-blade system. 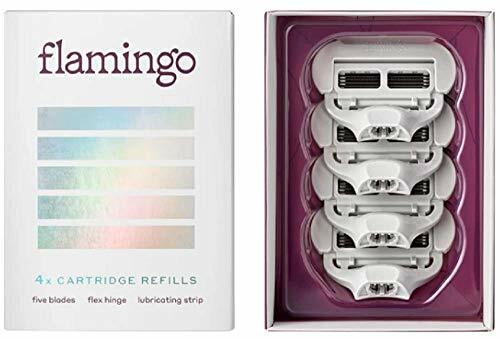 The razor system offers refill cartridges with four blades designed specifically for women. The blades flex together for our closest shave possible while the pivoting head allows you to reach hard places. The razor provides flexibility and allows you to follow the natural curves of your legs and body. The Papaya & Pearl complex conditioning strips help provide a smooth shave. Value 2-pack! 8 Cartridges Total - Stock up today! Choose smooth contoured moves! 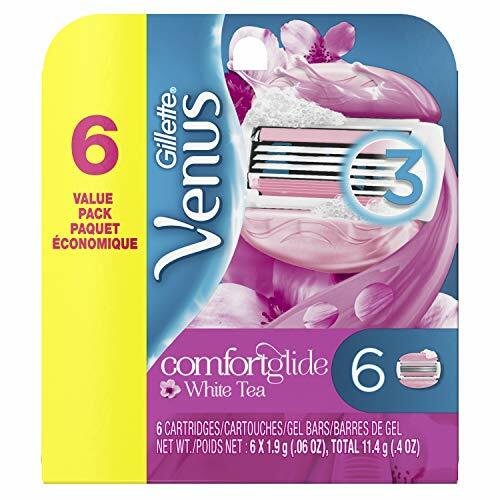 Gillette Venus Extra Smooth Swirl Women's Razor is designed with Gillette's revolutionary Flexi ball and 5 individually adjusting Contour blades, the Venus Swirl helps capture what other razors may miss. It contours over curves for flawless beauty, long-lasting smoothness and virtually no missed hairs. 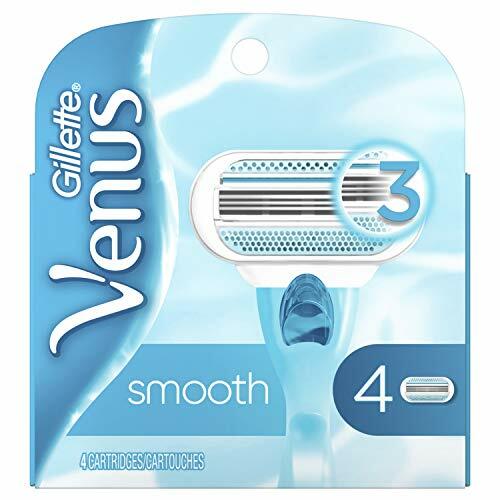 Venus ergonomic handles are shaped to allow the razor to be held in multiple positions, and the soft-grip gel provides great control in wet and slippery conditions. 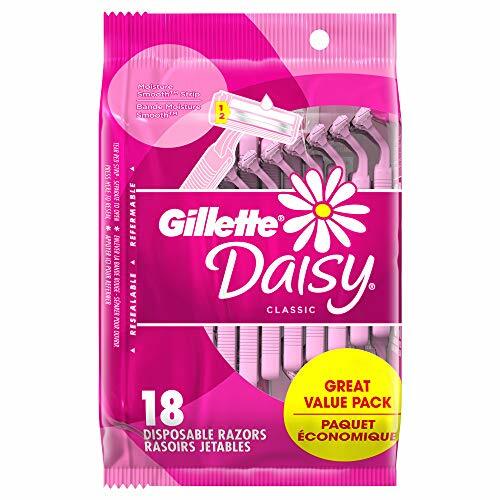 Schick 14 Pc Set Intuition Variety Pack, 1 Razor Handle & 13 assorted Refill Cartridges - 5 x Island Berry, 4 x Advanced Moisture Shea Butter & 4x Sensitive Care 4 blades for a closer shave. Lathers and moisturizes as you shave, leaving your skin noticeably softer Pivoting head follows your contours. 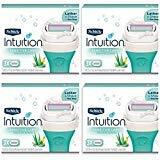 Schick Intuition Razor lathers and shaves in one step! For a close, simple shave that moisturizes during shaving, the skin moisturizing solid surrounding the razor eliminates the need for shave gel, soap, or body wash. This formulation with coconut milk and almond oil, helps soften and moisturize the skin during shaving. 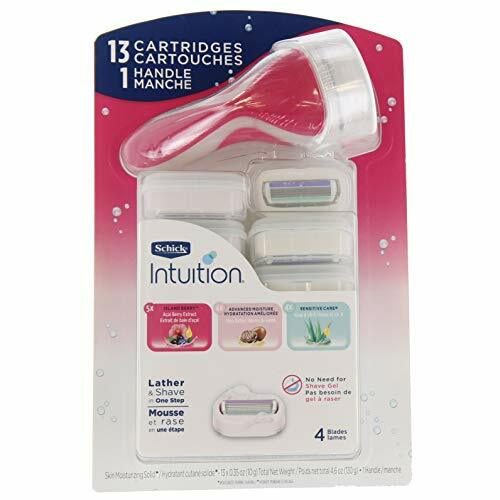 Safely and effectively tackle unwanted body hair with Schick Intuition Sensitive Care Razor Handle + 12 Cartridges. This all-in-one shaving set includes an easy-grip razor handle and multiple razor cartridges complete with wash-away shaving soap. Simplify the way you shave, forever. The revolutionary Schick Intuition f.a.b. razor safely shaves forwards and backwards. With unique bi-directional blades - the top blades shave up, and bottom blades shave down, allowing you to shave without lifting the razor from your skin! Its Advanced Moisture Gel provides an effortless glide to help the razor move smoothly along your skin.